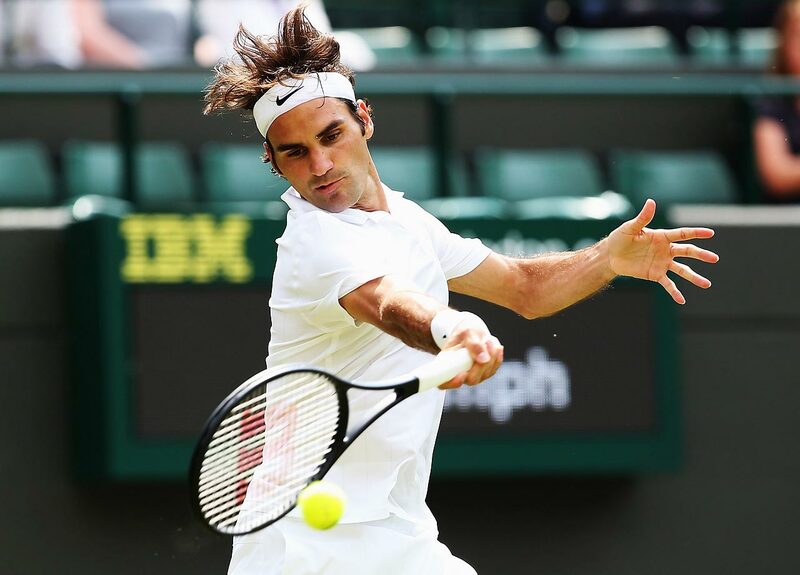 Wimbledon 2015 draw: SI.com tennis experts and writers Courtney Nguyen, Jon Wertheim, Richard Deitsch, Andrew Lawrence, Stanley Kay and Jamie Lisanti discuss this year’s top storylines and predict the winners for Wimbledon. 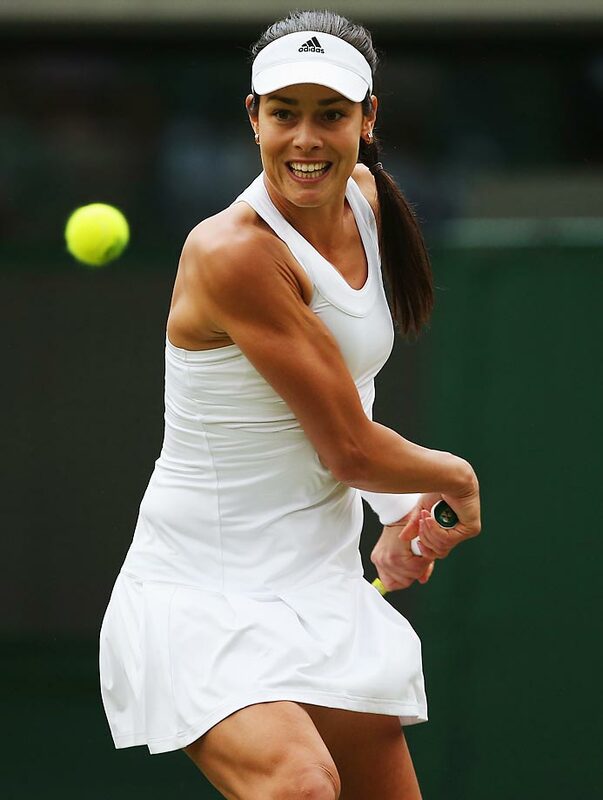 As the players gear up for the start of Wimbledon 2015 on Monday, SI.com tennis experts and writers Courtney Nguyen, Jon Wertheim, Richard Deitsch, Andrew Lawrence, Stanley Kay and Jamie Lisanti discuss this year’s top storylines and predict the winners. What did you learn from the grass court lead-up tournaments? Richard Deitsch: That Andy Murray and Roger Federer are in top form, and Rafael Nadal might exit very early. Murray, in particular, looks primed to win again after taking the Queens title. I think Federer has one more deep Wimbledon run in him and it comes this year. Angelique Kerber is a strong grass court player—she was a semifinalist at Wimbledon in 2012—and her win in Birmingham suggests a big tournament. ​Stanley Kay: “Learning” that Roger Federer is a really strong contender to win Wimbledon is a bit like learning that the sun is going to come up: after watching it for years, it really shouldn’t require any sort of realization. But Federer’s stellar performance in Halle on his favorite surface served as a reminder that the 33-year-old’s grass game remains exceptionally difficult to beat. Andy Murray’s title run in London, adding to an already strong 2015, showed me that he will be Novak Djokovic’s top challenger at Wimbledon. ​Speaking of Djokovic: He hasn’t played a competitive match since he fell to Stan Wawrinka in the French Open final. But I don’t need to see Djokovic play on grass to know that he’s the favorite to win his second straight Wimbledon. Similarly, Serena Williams has sat out the grass court lead-ups for the fourth straight year after winning the French Open. Extra rest certainly won’t hurt either No. 1 player. Jon Wertheim: More and more, these events tend to be of limited predictive value. 1) For the men—the top men especially— the difference between best-of-five and best-of-three is so significant. 2) For all players, the Slams have so much prestige that players don’t always go 100% (or risk injury) in the weeks prior. 3) Many stars—including the top-ranked players, both his and hers—did not play. We confirmed that former winners Andy Murray and Roger Federer are threats. That Rafael Nadal, who’s had a rough time at the All England Club for three years running, can play well and can play not well. 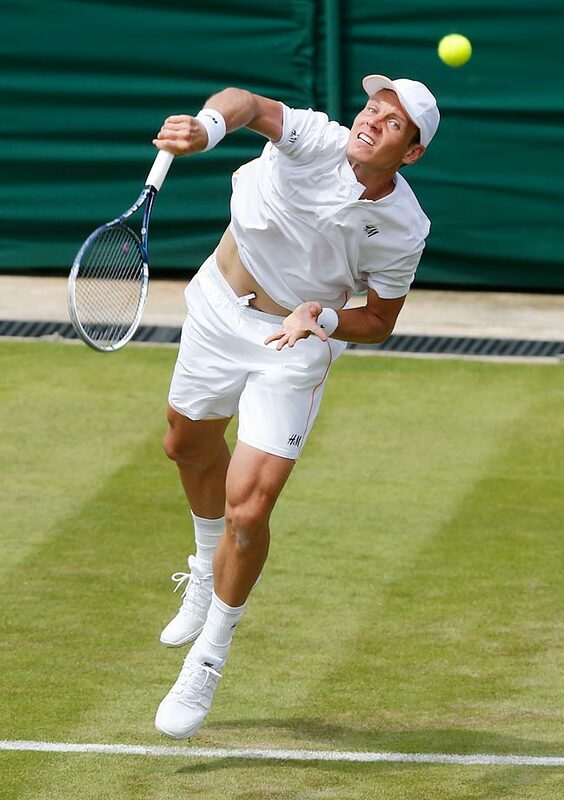 We learned that a number of players (Kevin Anderson, Philipp Kohlschreiber, Angelique Kerber) are dangerous. Drew Lawrence: A couple things: 1) The grass appears to be smoking as usual. I stopped counting at 137 aces: a record 27 for Sabine Lisicki in her opening round win at Birmingham, a record 45 from Ivo Karlovic in his quarterfinal triumph at Halle; 36 and 29, respectively, for John Isner and Feliciano Lopez in the Birmingham quarterfinals—against each other, in case there was any confusion. Their ace fest, too, was one for the books. 2) Roger Federer, Andy Murray and Rafael Nadal—especially Nadal—looked resplendent while claiming titles at Halle, Queen’s Club and Stuttgart, respectively. This would seem to bode well for our chances of seeing a men’s final that is contested at as high a level of last year’s affair, which Novak Djokovic ultimately claimed in five sets. The fact that the defending champion spent his grass court season rocking out to ACDC and cavorting shirtless on a Spanish beach doesn’t give me the least bit of pause. After the season he has enjoyed so far—41 wins and three losses, the most crushing in the French Open final—who could argue that the man isn’t on his game, or that he didn’t deserve a breather? ​Courtney Nguyen: It will be Serena Williams vs. a very shaky field at Wimbledon. While the favorites continued to reign for the men—Federer, Murray and Nadal all won titles—it's hard to read into any of the women's lead-ups. As usual, Serena didn't play any lead-ups, opting to train instead. Defending champion Petra Kvitova had to pull out due to illness. Last year's semifinalists Simona Halep, Eugenie Bouchard and Lucie Safarova took early losses. No one emerged as a true title contender. So instead I'll focus on the little things that could have the cumulative effect of wreaking havoc on the draw. 2013 finalist Sabine Lisicki is serving incredibly well. Four of the young-ish set in Camila Giorgi, Karolina Pliskova, Belinda Bencic and Ana Konjuh had solid tournament runs. Angelique Kerber looks reinvigorated after tailing off on clay. Jamie Lisanti: As much as we've talked about Djokovic's dominance this season, the grass court lead-ups reminded us that Federer and Murray are capable of playing top three tennis on the turf. I worry about Nick Kyrgios following up his big result last year against Nadal, especially after his split with coach Todd Larkham on Monday. On the women’s side, Caroline Wozniacki and Sloane Stephens are playing well and after firing a record-breaking 27 aces last week, you can’t count out Sabine Lisicki on grass. What are you most looking forward to in the draw? Kay: Ah, seeding at Wimbledon: It’s the tennis world’s semi-equivalent of Brits driving on the left side of the road. Instead of simply relying on ATP and WTA rankings, the tournament uses a formula that involves more math than the average sportswriter cares for. Here’s the CliffsNotes version for the men’s side: The All England Club uses ATP points, but also factors in how well a player has fared on grass. This adds a bit of intrigue to the draw. 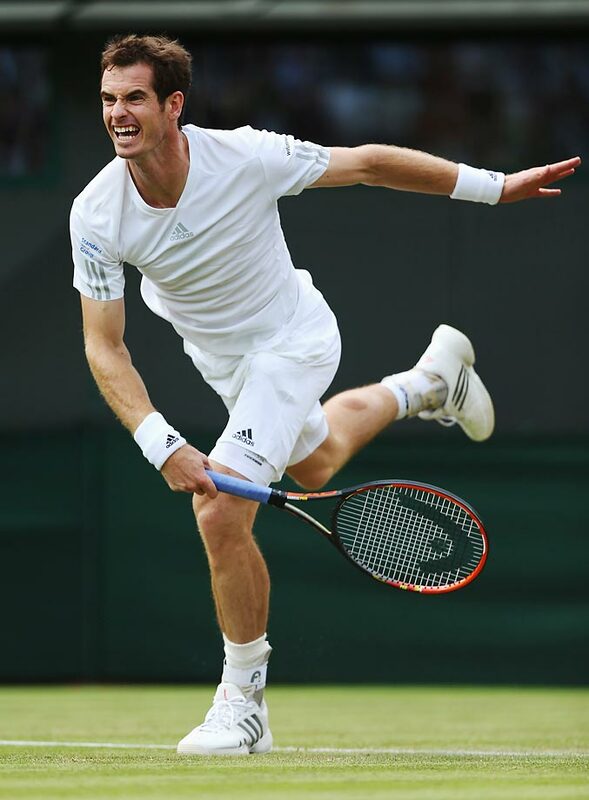 I’m most looking forward to seeing where Andy Murray falls. Despite Djokovic’s general success against Murray—19-8 overall and 4-0 this year, including a semifinal victory earlier this month at Roland Garros—the Serb has struggled in Grand Slam finals recently, losing six of his last nine. As the defending champion and top-ranked player in the world, Djokovic may be favored to win Wimbledon, but I’d be hard-pressed to bet against Murray if the two met in the final. ​Rafa Nadal is also an interesting storyline. As a No. 10 seed, he’d likely run into one of the top four seeds—Djokovic, Federer, Murray and Wawrinka—potentially as early as the quarterfinals. Lawrence: I’ll be interested to see if Stan Wawrinka suffers another post-slam slump. After his maiden breakthrough in the 2014 Australian Open, Wawrinka won just one title (at the Monte Carlo Masters) and was reduced to upset fodder at the following three slams; the most spectacular of those many crashes was his first-round (!) loss to 41st-ranked Guillermo Garcia-Lopez at Roland Garros—a defeat for which he has more than redeemed himself, of course. Now comes the hard part for Wawrinka: proving he can not only reach tennis’s top ranks, but stay there a while as well. Deitsch: The saga of Eugenie Bouchard. Think about how much has happened since she was the runner-up at Wimbledon last year? 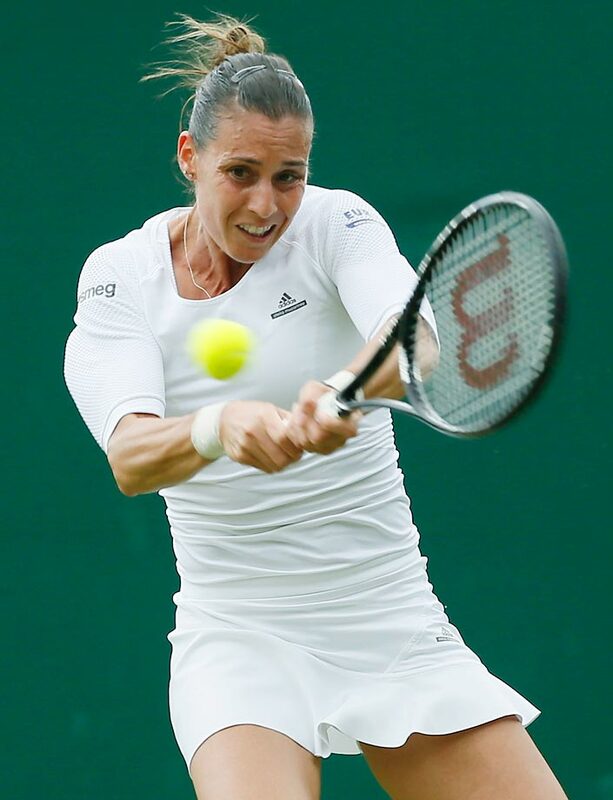 On Tuesday she finally won her first grass court match of 2015. Can she find her game again on the courts that vaulted her into future champion discussions? Murray says he is playing better than when he won Wimbledon in 2013 and his results show it. I’m always interested in Vika Azarenka and I was bummed to see she once again injured her left foot at Birmingham. The tennis world needs her healthy. Wertheim: Can Serena Williams take the third leg of the Grand Slam? If no one could upend her on her worst surface when she was unhealthy, can anyone disrupt her progress on grass? How will Djokovic recover from the sting of Paris? Can Roger Federer fire up one for the memory banks? Can Rafael Nadal reverse his slide. 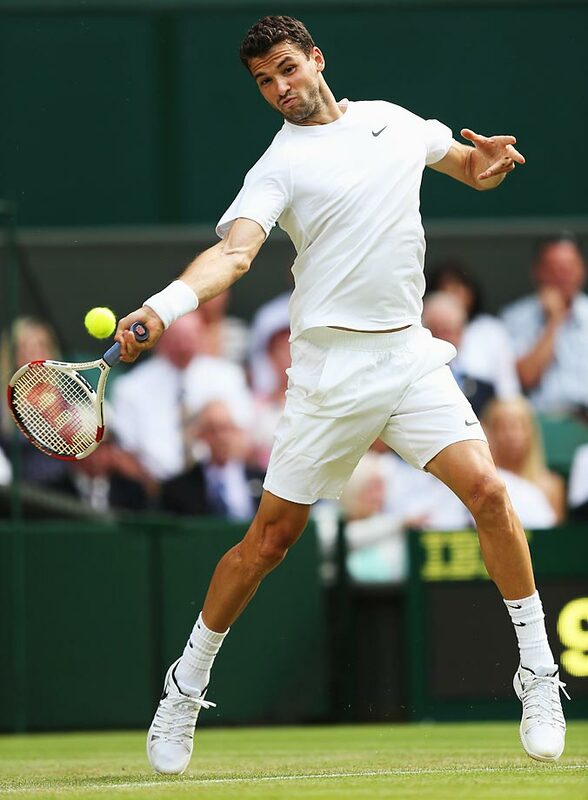 Who will Stan Wawrinka play, and what will he wear since the all-white policy will, mercifully, necessitate a costume outfit change. Lisanti: Eugenie Bouchard's draw. Last year she beat the likes of Andrea Petkovic, Alize Cornet, Angelique Kerber and Simona Halep en route to the final. Though she has not fully clawed her way of her slump just yet, she did finally get a win on Tuesday in Eastbourne. That first step is out of the way now. If she gets dealt a favorable draw, something tells me she'll start to feel the magic of the All England Club again. It won’t quite resurface the Genie of Wimbledon 2014, but I think she’ll finally wake up and win some matches. What player do you see being a dark horse or making a breakthrough this year? Deitsch: Karolina Pliskova had a nice run at Birmingham and bears watching. Madison Keys could make a deep run into the second week. Watch out for Andreas Seppi, who is soaring up the ATP Rankings and could pull off an upset. Kay: Djokovic is naturally the tournament’s most-discussed Serb, but I think one of Novak’s countrymen could make noise at the All England Club: Viktor Troicki. In Stuttgart earlier this month, the 29-year-old Troicki defeated Marin Cilic in the semifinals before bowing out to Rafael Nadal in the final. 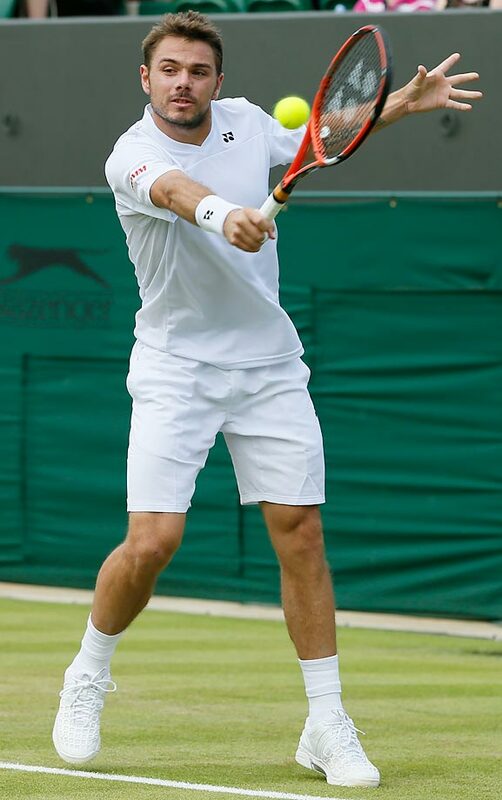 Last week at Queen’s Club, Troicki beat Cilic again before topping John Isner in the following match. He ultimately fell to eventual champion Andy Murray in the semifinals. Troicki, who has just two career titles—including at Sydney in January—has shown his mettle on grass this season, and a deep run at Wimbledon certainly seems possible. 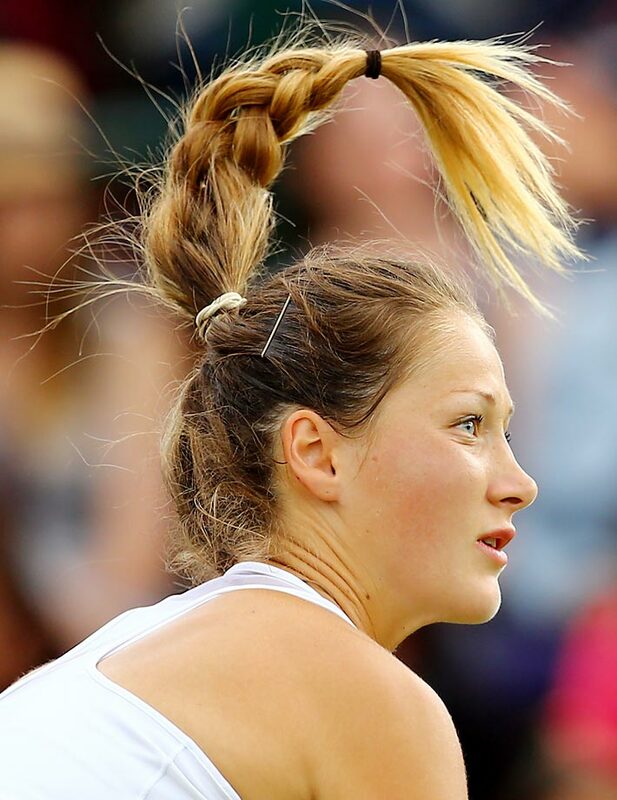 On the women’s side, I think Kristina Mladenovic could surprise some higher-ranked players. The 22-year-old Frenchwoman beat Eugenie Bouchard and Simona Halep at the Aegon Classic before falling to Karolina Pliskova in the semifinals. Mladenovic also beat Bouchard at the French. She has never advanced past the first round at Wimbledon, but I believe she’ll break through this year. Lawrence: Why not Jack Sock? Until Djokovic downed Nadal in Paris, the only player to take a set off the King of Clay was the 22-year-old Sock, a Nebraskan by way of Kansas by way of Tampa. 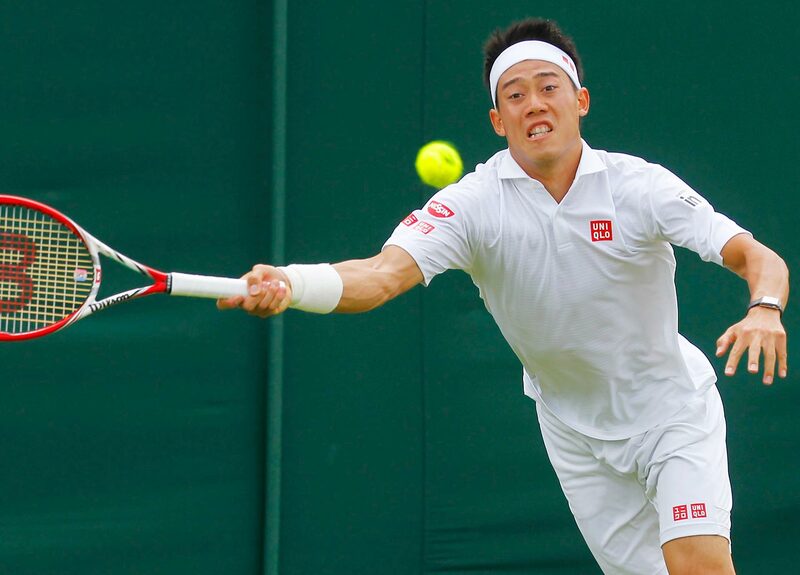 While Wimbledon has proven to be Sock’s worst Slam, encouraging signs abound nonetheless. There’s the fact that Sock, a second round loser to Milos Raonic in ’14, performed better than he did in his AELTC debut the previous year, when he lost in the first round of qualifying. There’s his recent round of 16 run in Paris—a sandbox that, while not obviously suited to Sock’s serve-and-pummel game, did bring out a craftiness that has surfaced sparingly from within heavy hitting American men in recent years. And then there’s the fact that Sock won his first career singles trophy barely two months ago. If the grass continues to play as fast as it has, I wouldn’t be surprised to see Sock make it to the weekend turn. ​Nguyen: Sloane Stephens. She'll be a dangerous unseeded player and she hasn't let the momentum she built in making the fourth round of the French Open slip. 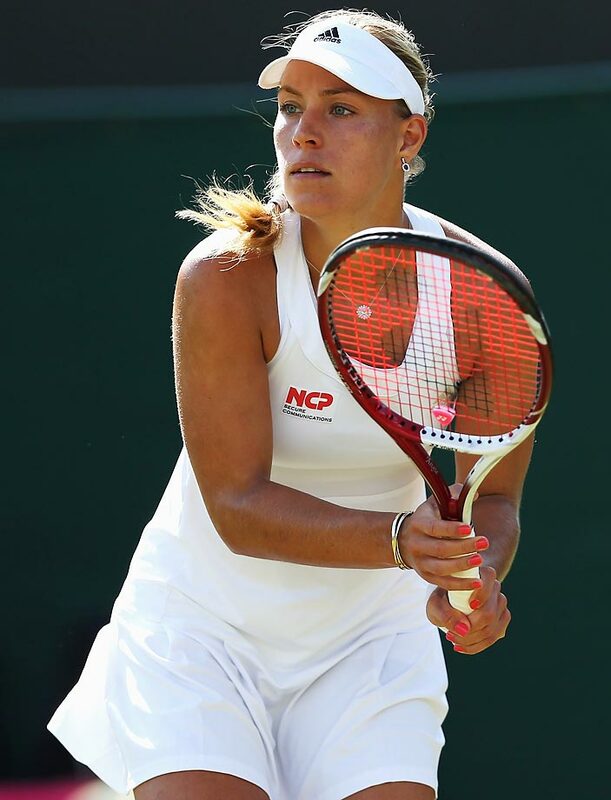 She's looked good this week in Eastbourne and a good amount of credit goes to Nick Saviano. She's competing well under his guidance. 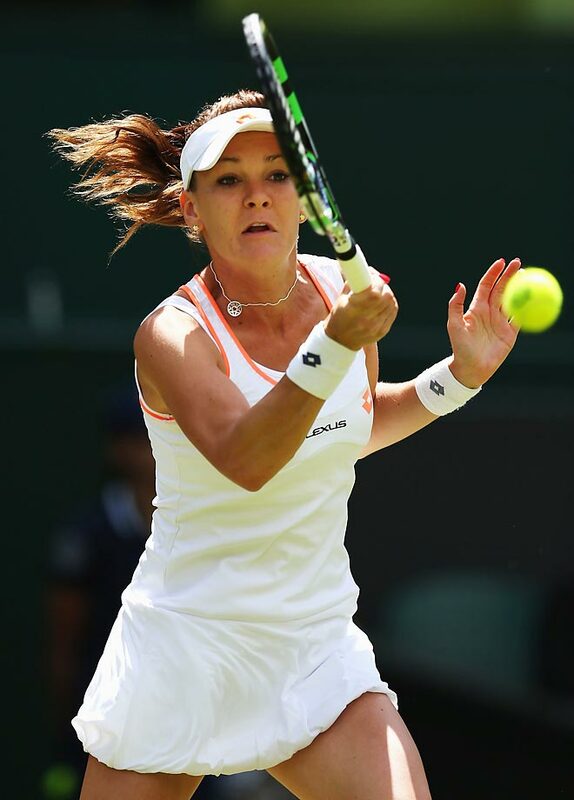 Lisanti: Belinda Bencic showed promise in Eastbourne and I like her chances of making a run at Wimbledon. On the men's side, I'm going with Thanasi Kokkinakis. 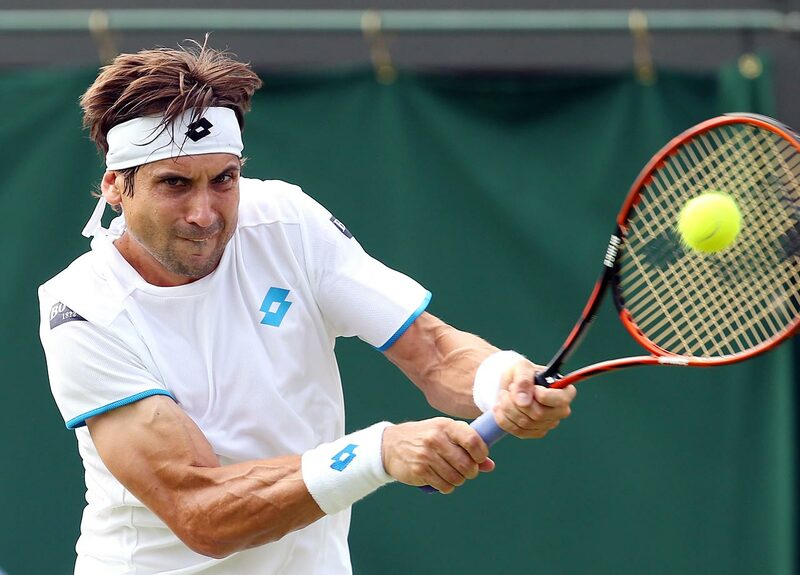 What headline-grabbing win can he pull off on grass? 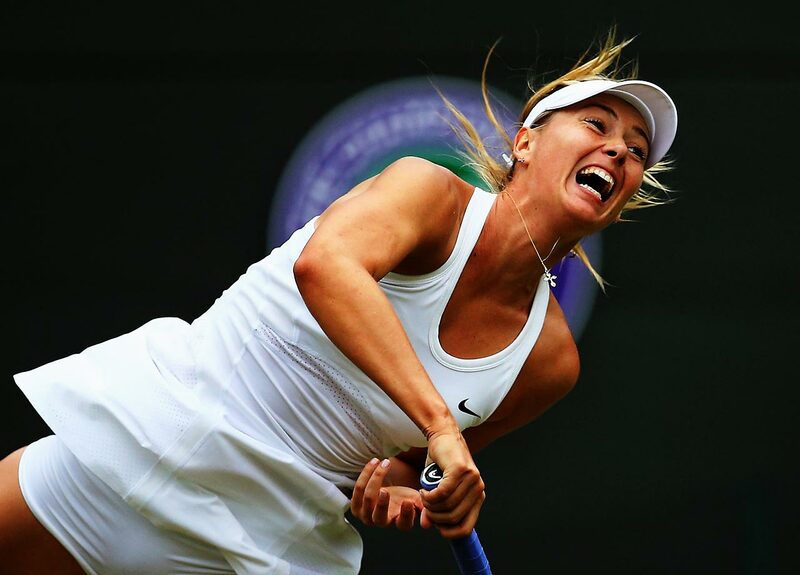 She’s not a dark horse, but Sharapova will make a breakthrough of sorts and quietly make it into the second week at Wimbledon this year. Though she hasn't made to the quarterfinals since 2011, she's been flying under the radar since her head cold in Paris and the extra energy and time off will put her in a good position to contend for the title. 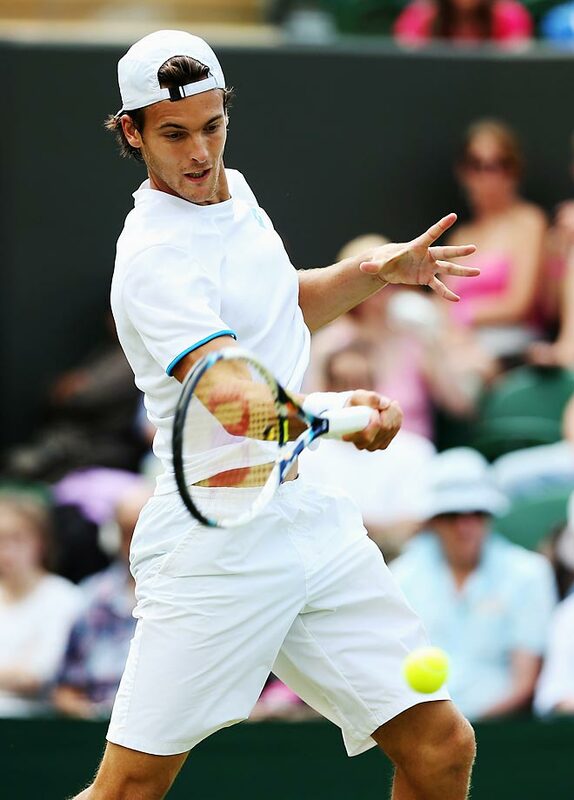 Wertheim: Thanasi Kokkinakis on the men’s side and Madison Keys on the women’s. Last year was Nick Kyrgios’ breakthrough. Says here another Aussie is coming in 2015. Keys is too good and hits too big a ball not to thrive on grass. 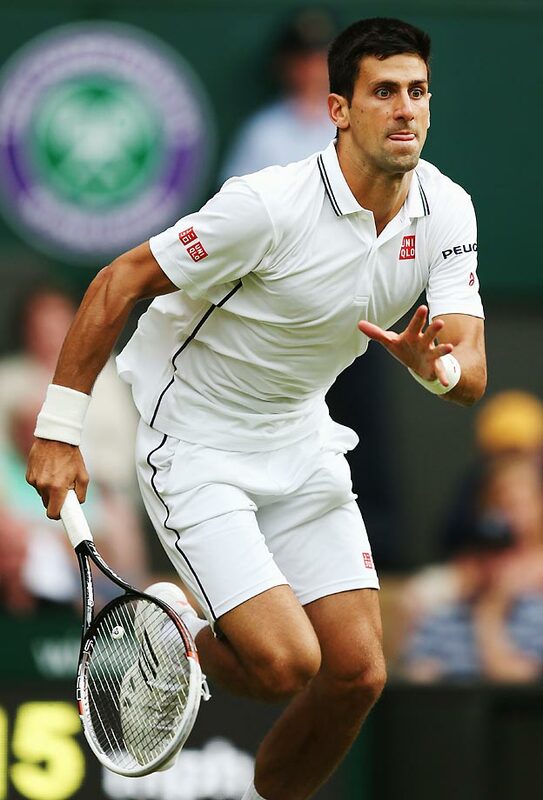 How will the defending champions Novak Djokovic and Petra Kvitova fare? Deitsch: The Djoker will lose in the finals; Kvitova will get knocked off in the semis. Kay: A year after winning his second Wimbledon title, Djokovic is the favorite to win a third. Though he’s lost six of the last nine Grand Slam finals in which he has played, it’s worth noting that he has made it to at least the semifinals in 19 of his last 20 Grand Slams and his last five Wimbledons. Despite Djokovic’s absence from competition since the French Open, it would be a shock if the Serb didn’t make another run to the semifinals. Kvitova withdrew from the Aegon International earlier this week due to illness, saying she didn’t feel well upon arrival at Eastbourne and ultimately couldn’t finish the tournament. 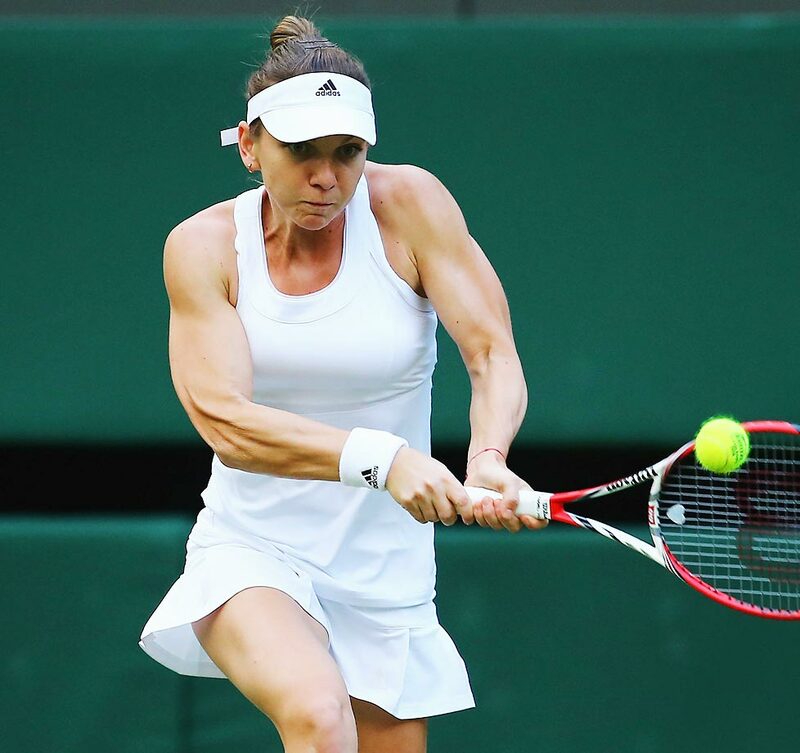 It’s impossible to determine how much her illness will affect her preparation and fitness just days ahead of Wimbledon, but if the Czech is healthy she’s a good bet to make another deep run. Kvitova has fared well at the All England Club, winning in both 2011 and 2014, her only two Grand Slam titles, and I expect her to be among Serena’s top challengers this year. ​Nguyen: Gosh, who knows? Given how solid his game is I don't see Djokovic crashing out in the first week. But has he had enough time to put the heart-wrenching Frenc h Open loss behind him? So much of Djokovic's success depends on his mentality. As for Kvitova, she'll go into the tournament cold after a viral illness knocked her out of Eastbourne. It's all about getting through the first week for her. A good draw would help. Lisanti: Djokovic will do just fine and we'll still be talking about him late into the tournament, but I don't think he'll raise the trophy again this year. The loss in Paris took a lot more wind out of his sails than we think and I don't believe he's mentally ready to defend his title on grass. As for Kvitova, she's proven to be a grass court great and even though she had some roadblocks in the warm-ups, I think she'll adjust quickly. Depending on her draw, she'll make it through to the semis—but no further. ​Lawrence: Djokovic will be fine until the quarterfinal round, where he’ll at last face the possibility of losing more than just a set. Meanwhile, Kvitova could just easily lose in the first round as the defending champion. When she won it all in 2011, no one really saw her coming. When there was pressure to defend the following year, she was pasted by Serena Williams in the quarters. Entering the fortnight, Kvitova set up this premise again. This week she bailed out of a warm up in Eastbourne with a sore throat, braving her condition only to tell a dean's list tennis reporter, Matt Cronin, that Williams had a better-than-good chance to win all four slams this year. "I think she can really make it," she said. With that as an endorsement, how could I not expect Kvitova to make it back to the finals and succumb to another good pasting from Williams? I mean, she's expecting it! Wertheim: For Kvitova, they should surface the courts with notebooks; because on paper, she is always a threat. (We’re here all week. Tip your server.) Her game is made for grass; her shambolic lefty-ness is accentuated; she handles the low bounce just fine. Not for nothing is she gunning for her third title since 2011. The hitch, of course, is that—like the little girl with the curl—when she is bad, she is horrid. And her good and bad tend to surface with little predictability. All of which is to say, who knows? She could defend her title. She could lose her first match. Neither would surprise. As for Djokovic, he should win the title. He is the defending champ. He was gutted by the French defeat; now he is simply motivated. Take out that loss to Wawrinka, he has been clearly the best in the business over the last six months. Who will win the men’s title? Kay: I think this is Andy Murray’s year. 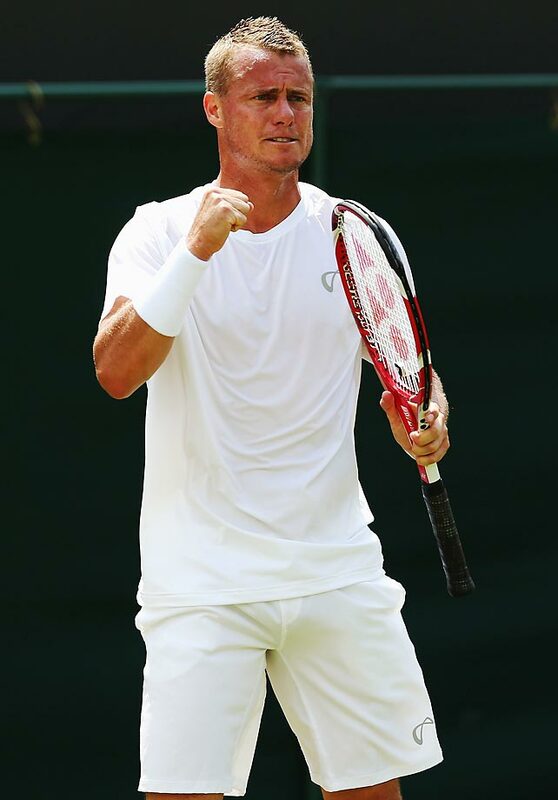 The 2013 Wimbledon champion impressed during clay court season, and his strong form has continued since Roland Garros with a title at Queen’s Club. 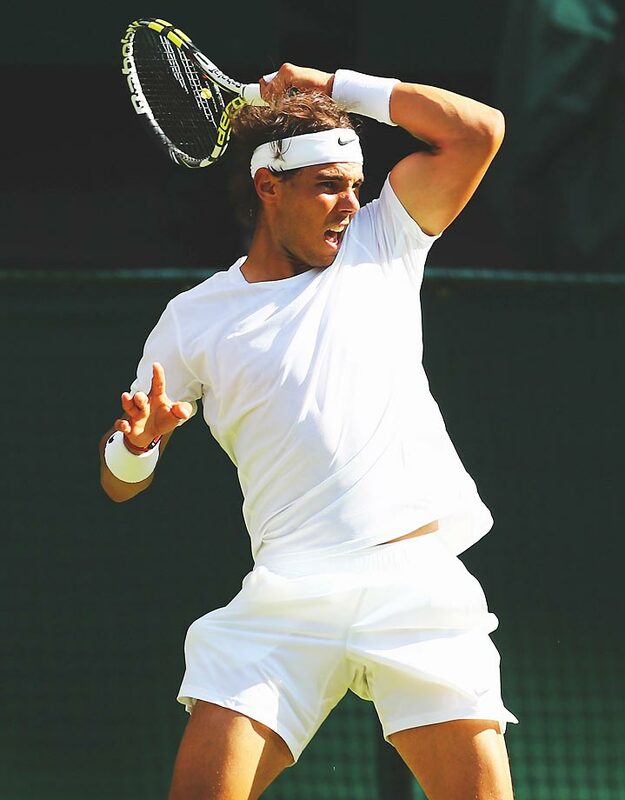 He’s looked strong physically and mentally, and I think it will carry him to a second Wimbledon title in three years. ​Nguyen: Andy Murray. He hasn't lost to anyone but Djokovic in nearly four months. He comes into Wimbledon full of confidence and incredibly relaxed. And when it comes to having just a little bit of an edge, consider the motivation that clearly burns inside him to vindicate his hiring of Amelie Mauresmo. This will be her last major tournament with him for a while as she's expecting a child in the fall. Lawrence: Should the bombs keep falling at Wimbledon, you have to like the chances of one Roger Federer—whose unassailable reputation as the finest lawn player of them all is built as much upon his blistering first stroke as his dainty footwork. A title at Halle, his eighth (! ), suggests he remains in fine fettle. All that said, Djokovic would have to be more than a little bit off for this to go down. Federer’s game doesn’t exactly pose much of a threat to the world No. 1 anymore, even with the recent upgrades. In fact, you could argue that Djokovic is at his best when he manufactures a slight for himself to avenge, and the loss to Wawrinka in Paris is as good as any. What better way to get over it than to take it out on another Swiss, the one whose number he has had in three of the past five times they’ve met since slaying Federer on Centre Court in 2014? Who will win the women’s title? Kay: I think a better question might be Serena or the field. I’m taking Serena. Wertheim: This is the old cut-and-paste. But how do you pick against Serena? Sure, she is almost 34. Sure, she hasn't won Wimbledon in three years. Sure, anything can happen. But, realistically, something will have to go profoundly wrong for her not to win. In Paris, she was demonstrably ill and spotting the opponent a set lead and still determinedly bent on winning. At full health? Well rested? On grass? Nguyen: Serena Williams. She can talk down her chances all she wants. I get it. She wants to ease the pressure and feel like an underdog. But recent Wimbledon woes aside—she hasn't made it past the quarterfinals since 2012—she has all the weapons. She's fit. She's motivated. And when that combination is in effect, she's unstoppable. Lawrence: Serena. If Paris taught us anything, it’s that if she can walk, then she can win. Quite simply, she is a woman on a mission.